They say days are all special, but when it comes to our birthday they are even more so. You do not have a birthday every day; it is a date to celebrate the years we have lived. On that day, people who love us, friends, relatives, coworkers, etc. will greet us and give us some presents. But a birthday is more than that; it is a day to set up new goals, and also to go out and have fun. Now, through social networks like Facebook or Twitter you can know when your friends’ birthdays are. Is it your friend’s birthday and you do not know what to write? This article will help you find the right greeting for the occasion. 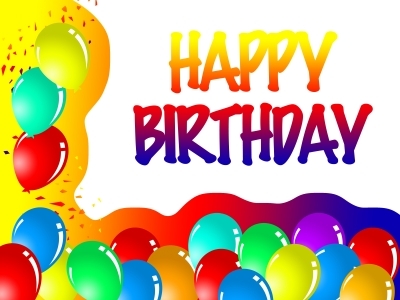 We give you a list with fun birthday greetings. They will not only express your best wishes, but they will also amuse those who receive them. We hope you liked these birthday greetings. They are so good and funny that your friends that receive them will surely smile. Send your originals phrases, text messages, quotes about fun birthday greetings phrases and will be published , others friends will thank you.